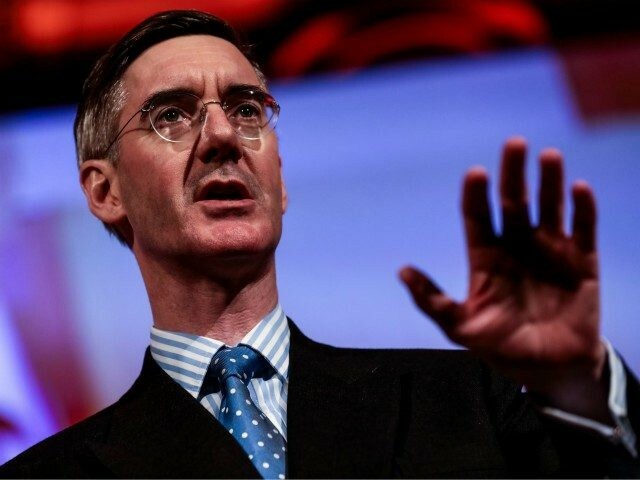 Speaking on his LBC radio show Friday evening, the Tory MP for North East Somerset warned, “There are only ten weeks to go and the Remainers are getting desperate — the ones that never accepted the result, don’t think that the people who voted to leave are very bright, think that people like me should have gone back to school to learn the virtues of the EU. Article 50 is the legal mechanism for leaving the European Union, which states that if the UK does not forge a withdrawal agreement, the UK will leave the EU on March 29th and trade with the bloc on World Trade Organization (WTO) terms. Cross-party Remainers have been attempting in the past weeks to bloc a clean, WTO exit, with efforts intensifying after Prime Minister Theresa May’s unpopular Withdrawal Agreement was voted down on Tuesday. “The difficulty is that lots of MPs say that they accept the result and they’ve got their fingers crossed when they say it. And they’re doing everything they can to frustrate it,” Mr Rees-Mogg continued. “That, I think, is the problem, and I think we need to hold them to account and make it clear that the proposed bill to delay the date put forward now by Yvette Cooper is an attempt to stop Brexit, and we should understand that the Labour Party ‘moderates’… and some Tory Europhiles ultimately reject the result. Ms Cooper and the Tory Party’s Nick Boles are expected to put a Bill to the House of Commons on Monday that would attempt to force the suspension of Article 50 until a consensus is made between leavers and remainers in Parliament, making it legally impossible for the UK to leave the EU on the 29th of March on WTO — the legal default position that, as Brexit architect Nigel Farage had recently pointed out, 498 MPs had agreed to do when they voted for Article 50 to be triggered nearly two years ago. After her historic defeat on Tuesday, Mrs May must prepare a ‘plan B’ to win support in the Commons on January 29th. Former Vote Leave campaigner Boris Johnson MP said Mrs May should reject calls by Tory Remainers to extend Article 50, saying the Government should demand a better deal from Brussels. Mr Farage warned Friday that apart from calling for an extension of Article 50 or attempting to stop a WTO exit, anti-Brexit forces in the political establishment are pushing for a second referendum, saying “we are on the verge of [Brexit] being betrayed” and Eurosceptics must be prepared to continue the fight against the elites.